I love seahorses, they are so timid and smart. 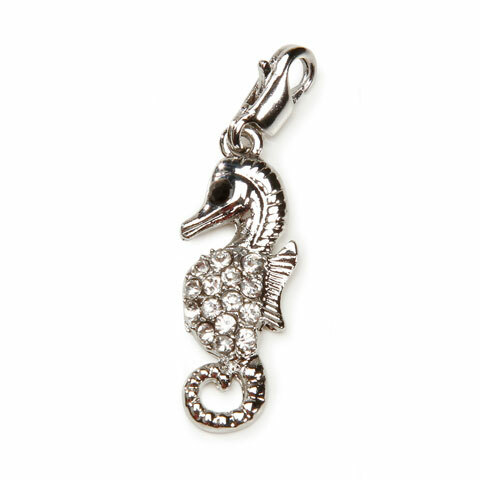 The lobster style clasp, rhinestone adorned, silver seahorse charm is metal. 0.96" tall by 0.33" wide.